Corp. Office :- The Mall, Nainital 263001, Uttartkhand India. 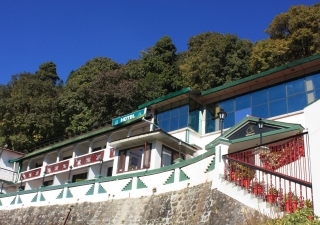 Krishna Hotels & Resorts is one of the few companies operating in hospitality services in Uttarakhand in the most popular tourist destinations of Kumaon Region. 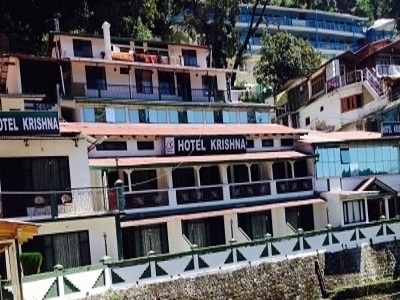 Krishna Hotels & Resorts with a motto "Atithi Devo Bhava" has been serving tourists in Uttarakhand for more than four decades with the beginning of its first venture Hotel Krishna,Mall Road, Nainital in May 1972. 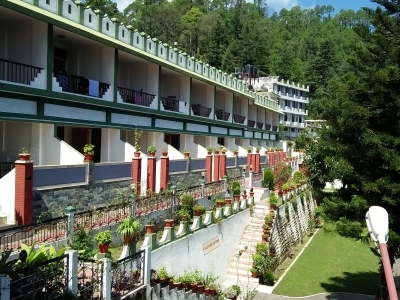 It makes "Krishna Hotels & Resorts" a pioneer company in the field of service industry in kumaon region of Uttarakhand. All the four properties are located in the prime locations. 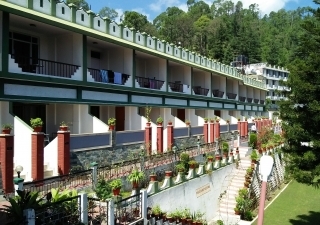 These are "Hotel Krishna", on the Mall, Nainital, "Krishna Mountview Mountain Resort" near Anasakti (Gandhi Ashram) Ashram, Kausani, "Krishna Orchard Resort" in Village Sargakhet near Mukteshwar, 46 km. Away from Nainital & "Krishna Wilderness Retreat", in Village Dhikuli,7.0 kms. away from Ramnagar city on National highway No. 121 near Jim Corbett National Park. 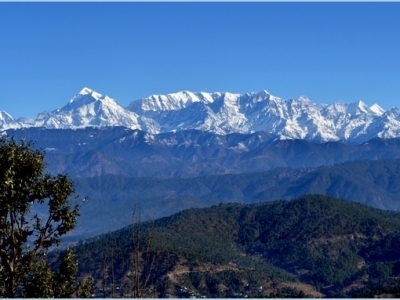 Welcome to Krishna Mountview Mountain Resort, Yoga and meditation centre, KAUSANI is a place aptly described by Gandhiji as the Switzerland of India in his book " ANASAKTI YOGA". 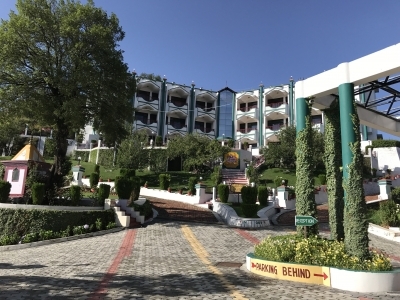 The resort is located adjacent to Anashakti Ashram, facing magnificent view of Garur valley and panoramic Himalayan view. All rooms have a breathtaking panoramic view of 180 kms. 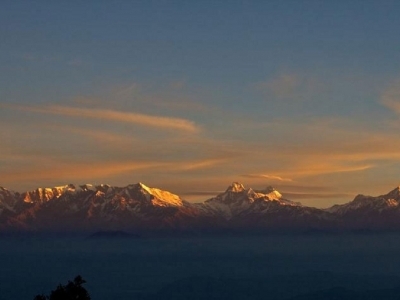 of the Himalayan Range. 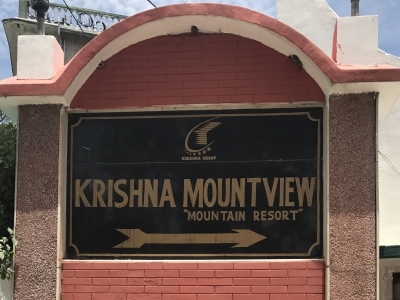 Krishna Mountview offers different types of accommodation - Executive Rooms , Garden Rooms, Luxury Rooms and Two Bedroom Apartments for families. The accommodation is elegantly and tastefully furnished and is reasonably priced. 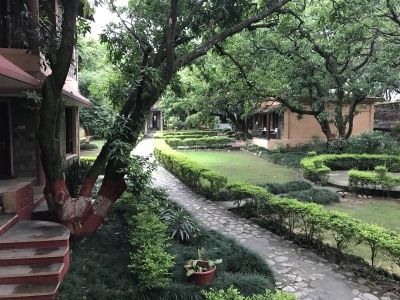 The Resort is eco friendly and has gardens and lush green lawns for yoga and meditation, walking, jogging and also provides party lawn and bonfire area. Our warm hospitality gives you a feeling of home away from home. The Resort has a multi cuisine restaurant, Vaibhav, serving Indian, Mughlai, Chinese & Continental delicacies. 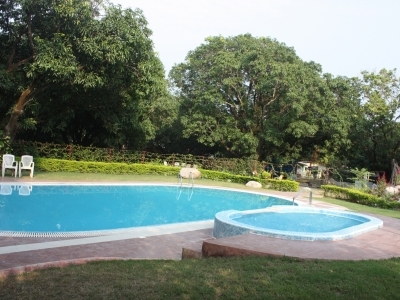 Welcome to Krishna Orchard Resort, ( Yoga and Meditation centre, Mukteshwar. 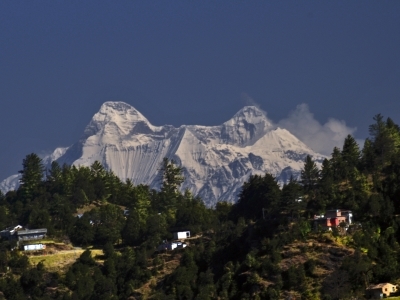 Mukteshwar is a virgin hill station 50 Kms from Nainital at an approx. 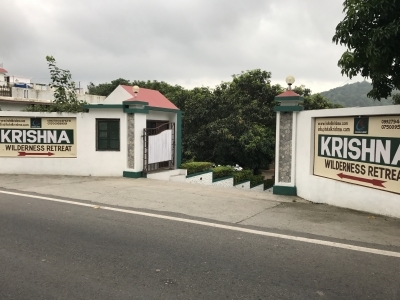 height of 8000 Ft. Krishna Orchard Resort is strategically located on a hillock overlooking the majestic Himalayas on one side and valley view on the other. The resort is surrounded with apple and other fruit orchards. 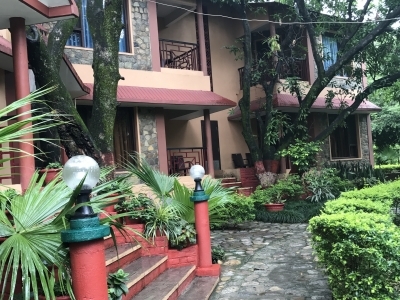 The resort provides peaceful ambiance and warm hospitality and is a paradise for people seeking peace and a place to unwind in the lap of nature, away from the hustle and bustle of busy city life. 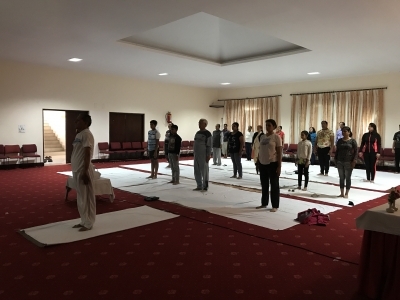 It is an ideal place for people seeking nature therapy such as Yoga , meditation etc. It also welcomes the younger generation as there are many Nature trails to be discovered with games like Treasure Hunt etc. 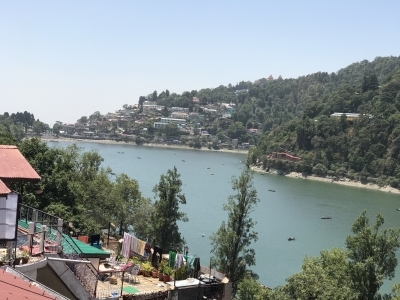 It is also suitable for our Corporate Clients who want to have a conference and are short of time as it is only 7 hours drive from Delhi and just 02 hours drive from Kathgodam- the nearest railway station having regular daily Shatabdi Train and few other trains from Delhi. 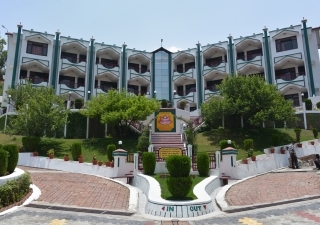 The resort has 360 degree view point, sunset and sunrise points, yoga, meditation and barefoot walking therapy lawns, jogging ,walking trail to 360 degree view point, badminton and volleyball grounds, children's play area,herbal/ vegetable gardens,indoor games like billiards, TT, etc, and CHAUPAL etc. etc. 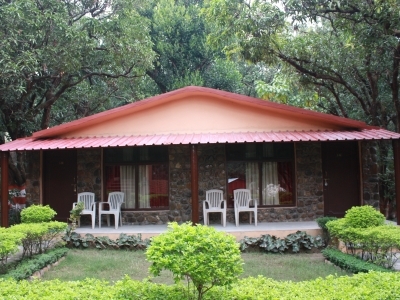 Krishna Wilderness Retreat , CORBETT spread over 1.5 acres of land is a Boutique resort with soothing ambiance. It is approx. 5 kms from the Bijrani Gate of Corbett. 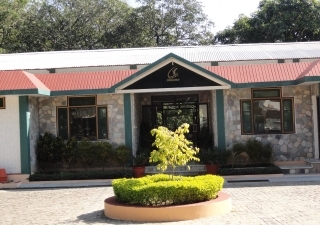 Krishna Wilderness Resort is nestled amidst Mango grove providing a unique opportunity to feel the bliss of Mother Nature. One can hear the chirping of birds early in the morning and feel the swaying breeze playing hide and seek between Mango trees. In winters mango trees fill your vision to a verdant green and during summers when the mango trees are in full bloom one may get to hear a bee humming the Nature song. Krishna wilderness retreat Dhikuli, Corbett. Entrance gate..Krishna Wilderness retreat, Corbett park. Krishna orchard resort ( YM&W Centre) Mukteshwar. 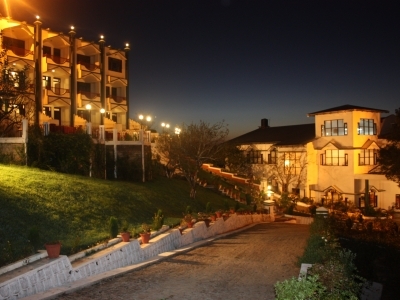 Krishna orchard resort (YM&W centre) Mukteshwar. 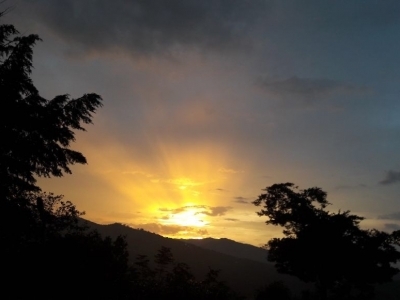 SUNRISE AT KRISHNA ORCHARD MUKTESHWAR. 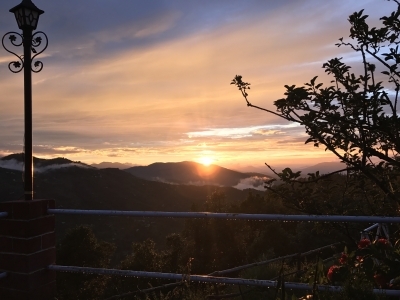 SUNSET VIEW AT KOR MUKTESHWAR.